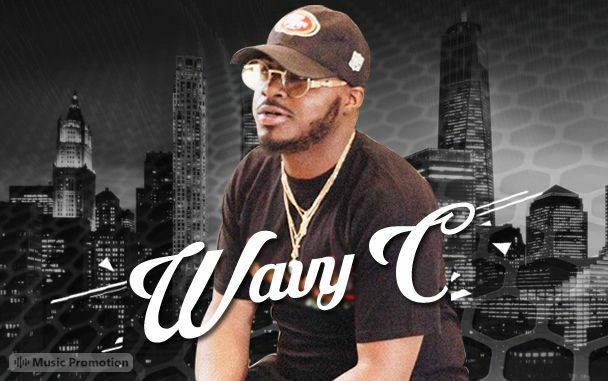 Listen to the attractive beats in popular rap star Wavy C's tracks. All elements in his tracks are balanced and well crafted that keeps listeners entertained. MORENO VALLEY, Calif. - April 16, 2019 - PRLog -- Wavy C is one of the renowned artists in the music industry. His tracks have a crisp finish which allows the natural emotions and rhythm of the song to shine brightly. Musically the track is uplifting and lyrically it highlights an artist's genuine heart and compassion for the others. The soundscape in the track 'Mud' has been beautifully crafted and has something unique in it. The rise and fall of the notes add varied rhythm to the track. This fills the space with color and musical intentions. The soundscape in the track remains fairly constant throughout. The whole thing in the track leaves its marks fairly quickly. Each element in Upcoming California Rapper Wavy C's track 'HeavyWeight' is building in a beautiful way and makes the track more and more impressive. The track is performed and produced in a relevant and effective way. Each line in the track are short that is flawlessly crafted. The melody lines and music in the track creates a dreamlike ambiance. The repetitive lines in Wavy C's track linger in the mind of the listeners after listening to it once. The short-lines in the track 'Wavy Carl - 2-Playa' are memorable and the calmness of the whole thing helps to add a level of trip-hop to the experience. The music in Wavy C's track 'Thats My Dogg' is considerably brighter and fuller sounding. The melody and the performance in the track are really strong. The contemporary vibe works really well to draw the listener's attention. Wavy C is an impressive artist with an unquestionable level of ability as a rapper. His another track 'BANG! BANG!' is receiving excellent fan base. Listen to his other tracks by tuning to the popular music streaming site Soundcloud. You can start following Wavy C on Twitter, Facebook, and Instagram.